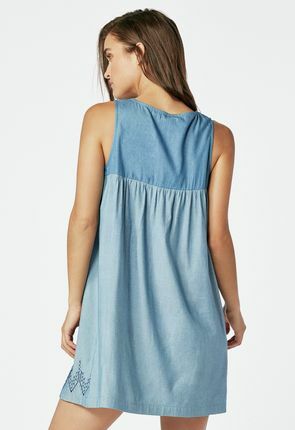 Cheap Dresses for Women on Sale - Buy 1 Get 1 Free for New Members! 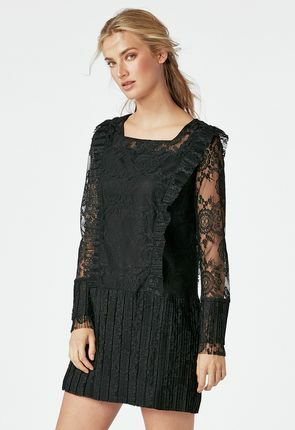 The women's dresses available from JustFab reflect the most talked-about trends from the red carpet to the runway. From cute maxi dresses to casual skirts, we can help you achieve the latest looks at affordable prices. Whether you want women's rompers for fun, playful outings or mid length dresses for company dinners, our no-obligation membership will keep today's best designs at your fingertips and in your closet. Look professional in our knee length dresses or flirt the night away in one of our mini dresses – at these prices, you can afford to do both. All our cheap dresses for women are high quality, yet remain affordable because they are designed, made and sold by us. Since we don't have to pay middlemen to bring our fashions your way, we pass the savings directly on to you.. When you choose our maxi dresses and women's mini dresses, you're not just making a choice that suits your pocketbook; you're also choosing to stay on the cusp of today's hottest looks. From our rompers to our mid length dresses, our designers are always making sure everything within our collections is on trend. Whether you favor knee length dresses or mini skirts, we have styles and designs to suit you. Let our cute dresses for women keep you in the season's best designs. From maxi dresses to rompers, our cutting-edge LA designs will work for you. All our women's dresses are made from quality materials for a look that will last. 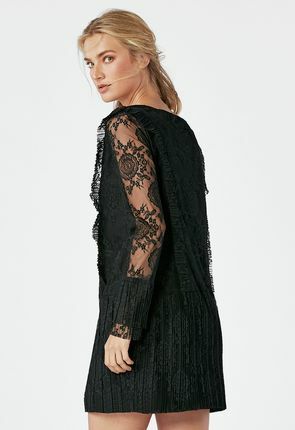 When you choose women's dresses from JustFab, you'll find hundreds of this season's best styles with the promise of new designs each and every month. Whether you're looking for maxi dresses or casual skirts, our high quality clothes will keep you in the trendiest threads without stressing your finances. From rompers to mini dresses, we provide you with the latest red carpet looks. 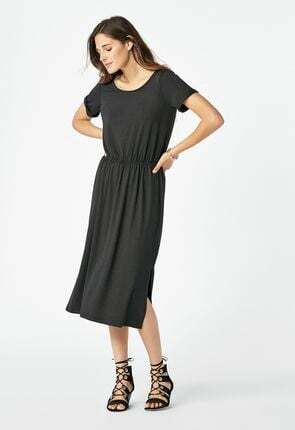 Find knee length dresses and more with our no-fuss, personalized membership that never obligates you to buy. Our inexpensive dresses come in a range of styles, because we know your mood and fashion needs change frequently. Choose from cute maxi dresses that are sleek and elegant or free-flowing and sheer. All our rompers are made from high quality materials, whether you're looking for easy-to-pack and wear polyester or you want the breathability of soft cotton. From our knee length dresses to our mini dresses, you can find the look you want – even if the look you want changes on a regular basis. With our cute dresses, you can stay ahead of fashion's ever-changing curve, because we are continually adding new styles to our vast collection. 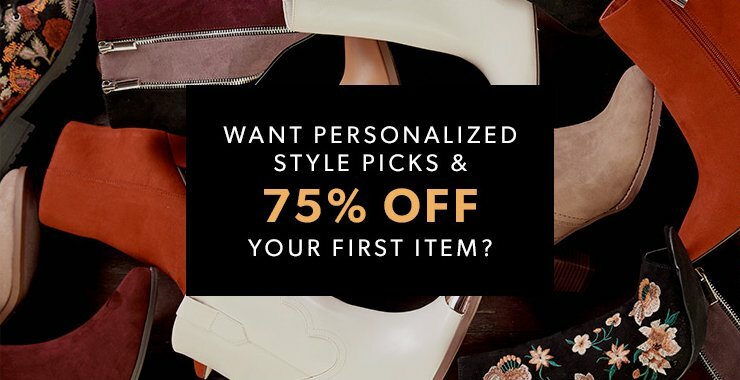 From the maxi dresses worn by your favorite celebrities to the hottest skirts inspired by the latest designers, we work hard to ensure the JustFab selection reflects what everyone is talking about. Find rompers that look as though they were just pulled from the pages of a magazine. Whether you want trendy knee length dresses or daring mini dresses, our designers and stylists will keep you fresh and up-to-the-minute. These dresses for women are affordable and can't be found anywhere else with our exclusive and no-obligation membership. With maxi dresses, mid length dresses and mini dresses to choose from, our stylists will handpick each month's newest offerings just for you to peruse, based on your own individual taste, style and preferences. 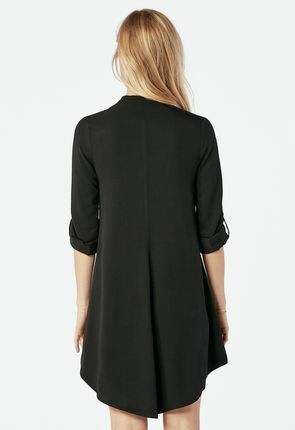 Whether you prefer knee length or comfy shift dresses, being a part of the JustFab family will keep you in the looks you want at prices you'll love.